At the age of twenty-seven, married, living in New York, and working in book design, Mary Cregan gives birth to her first child, a daughter she names Anna. But it’s apparent that something is terribly wrong, and two days later, Anna dies—plunging Cregan into suicidal despair. Decades later, sustained by her work, a second marriage, and a son, Cregan reflects on this pivotal experience and attempts to make sense of it. She weaves together literature and research with details from her own ordeal—and the still visible scar of her suicide attempt—while also considering her life as part of the larger history of our understanding of depression. In fearless, candid prose, Cregan examines her psychotherapy alongside early treatments of melancholia, weighs the benefits of shock treatment against its terrifying pop culture depictions, explores the controversy around antidepressants and how little we know about them—even as she acknowledges that the medication saved her life—and sifts through the history of the hospital where her recovery began. 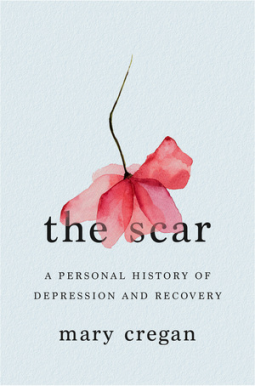 Perceptive, intimate, and elegantly written, The Scar vividly depicts the pain and ongoing stigma of clinical depression, giving greater insight into its management and offering hope for those who are suffering.